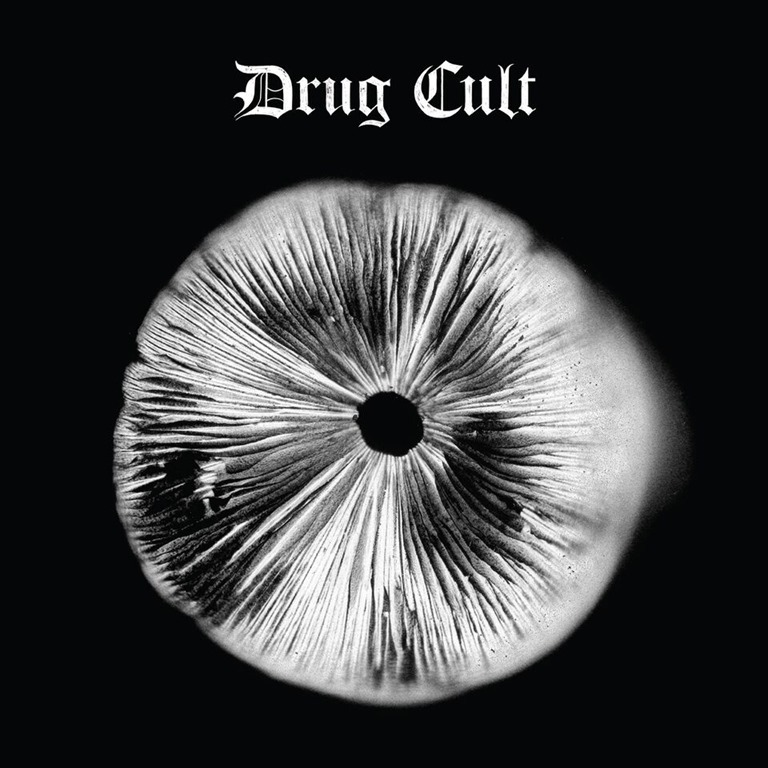 It’s perhaps fitting that self-professed occultist doom collective Drug Cult should unveil their debut long-player to coincide with midsummer’s day and the solstice. They open with a nine-minute sludge-trudge that’s bursting with the trappings of psychedelia and old-school hard rock: ‘Serpent Therapy’ starts so slow, with so much distance between each chord that it sounds like an ending, a protracted grinding to a halt, rather than the start. Yes, this is slow, and this is heavy. The guitars are close to collapsing under their own weight, and threaten to bury Aasha Tozer’s reverb-drowned vocals in the process. It’s the soundtrack to a bad trip into the underworld, and while there’s nothing of such epic proportions to be found during the remainder of the album’s nine tracks, the darkness remains all-pervasive. There’s a classic, vintage quality to the songs, but it’s all sludged up, twisted and messy, and what the songs lack in duration (the majority are below the four-minute mark) they more than compensate in density. The riffs lumber slow, low, and heavy, the bass grinds just as slow and even lower: the percussion doesn’t propel, but instead lands in thunderous ricochets while the cymbals wash in tidal waves. In fact, it’s like listening to an early Melvins 45 at 33, save for the vocals, which never sound anything less than borderline deranged. The sense of volume is immense, speaker-shredding, earth-shattering. And just when it doesn’t seem possible to drive any deeper, grind any lower, ‘Bloodstone’ reaches a new low in low, the essence of doom-laden hard rock riffing distilled to its absolute. The form is still apparent: Drug Cult don’t take it beyond the limits as Sunn O))) do, but against contemporaries like Esben and the Witch and Big Brave, Drug Cult stand out for their concision and their eschewing of passages of levity: this is unforgiving, ultra-heavyweight from beginning to end. As such, it’s a truly megalithic work. Worship it.